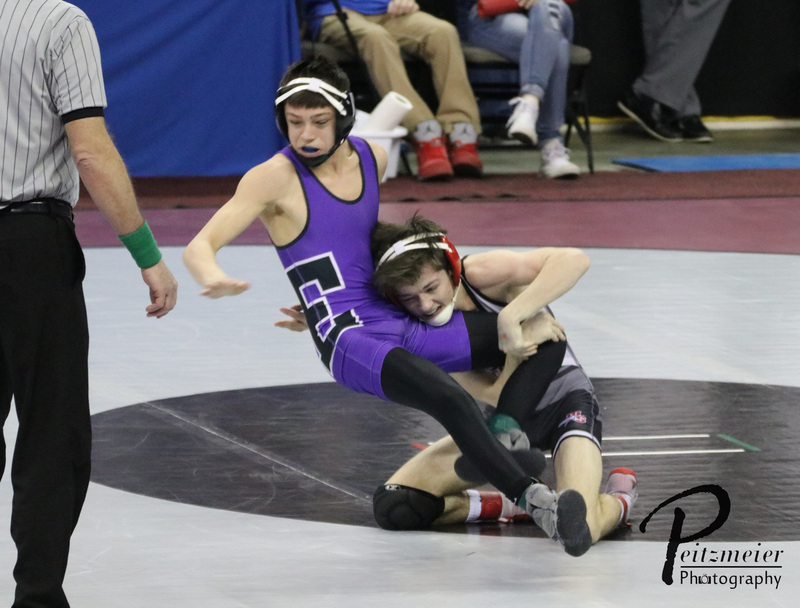 Going into the State Duals, the coaches knew that there was 0 margin of error if the team wanted to keep their dual streak intact. Losing Blake Jackson for the tournament absolutely did not help! 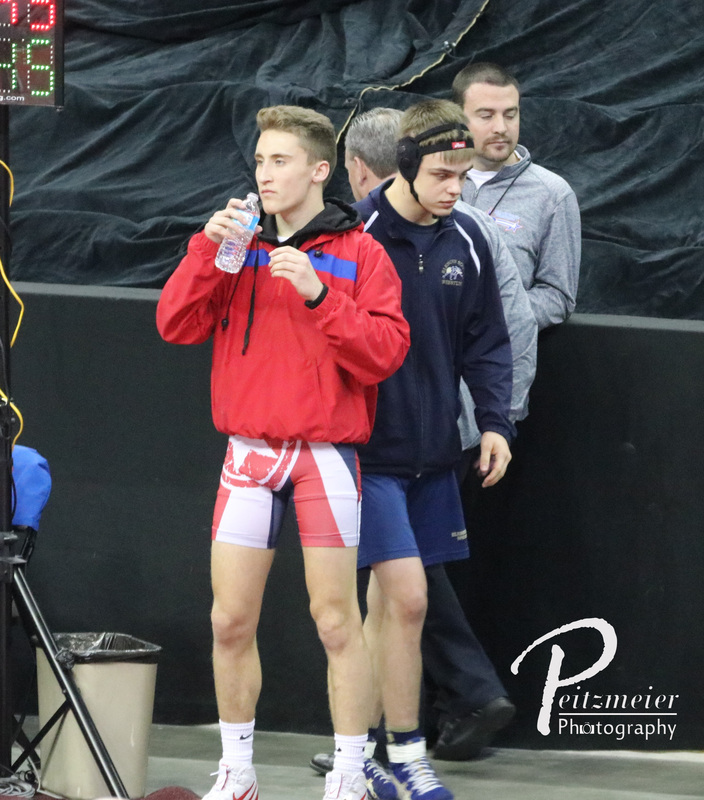 In the first dual against Gretna, we started at Blake’s weight, 113 pounds. Filling in for Blake was sophomore, Griffin Rettele. After the first period, Griffin was behind 9-4, and some people gave up hope. The second period, however, was a different story! 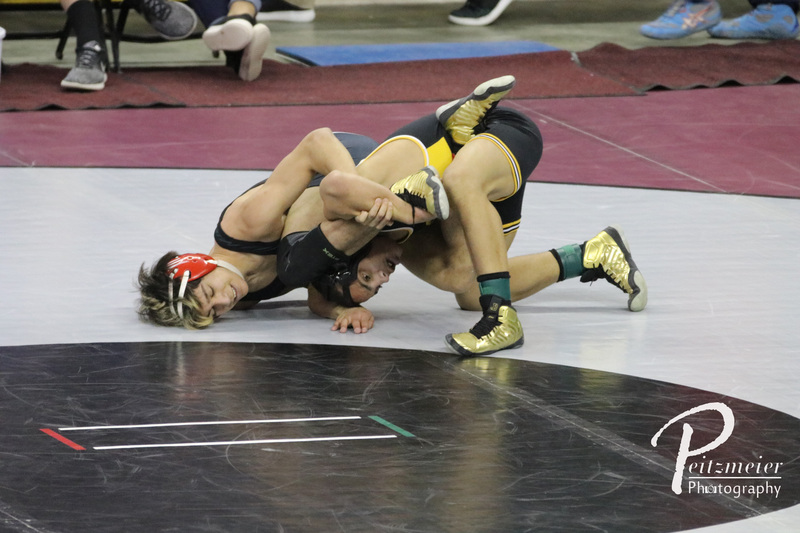 Griffin used an escape and takedown to change the dynamics of the match, and put Stalker from Gretna in a deep half-nelson to earn his first Varsity win and 6 much needed points for the team. 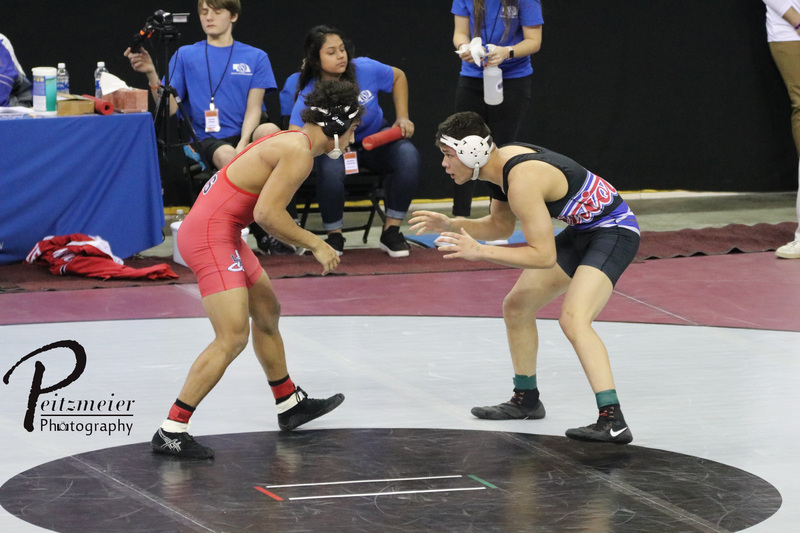 Conor Knopick and Garrett Carbullido followed suit by earning 6 points each, and the Patriots jumped out to an 18-0 lead. 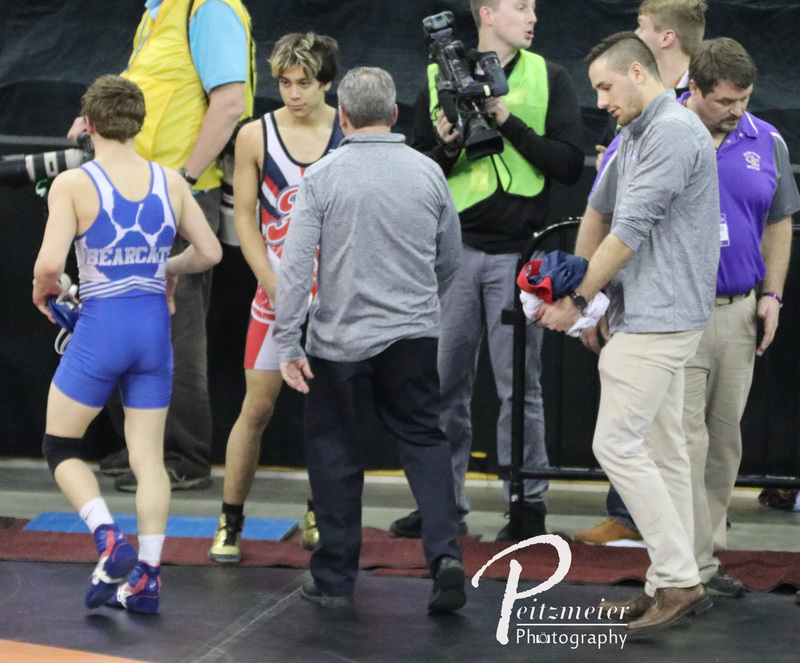 After giving up two major decisions, in back to back matches against state medalists, Garett Svoboda and Isaac Trumble got us back on the winning track with a pair of decisions. 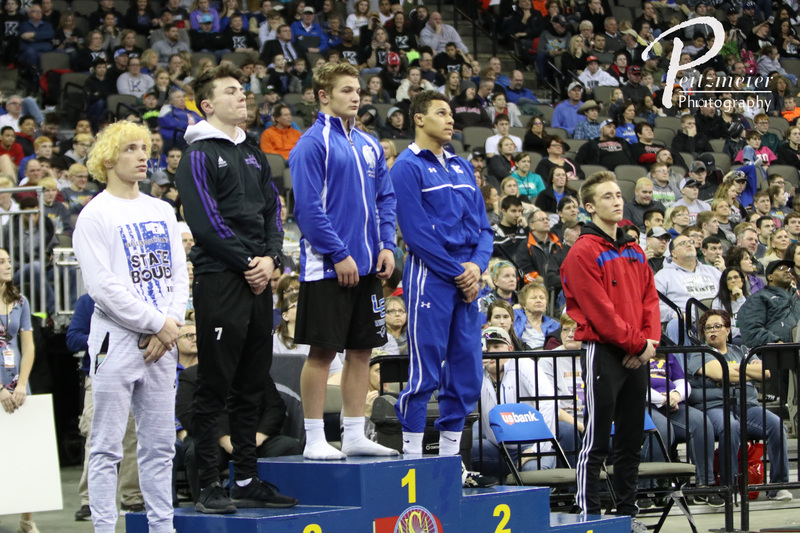 Then, at 170 pounds, Josh Trumble switched around a decision with Kobe Everson, who beat him for 5th and 6th place the week before. 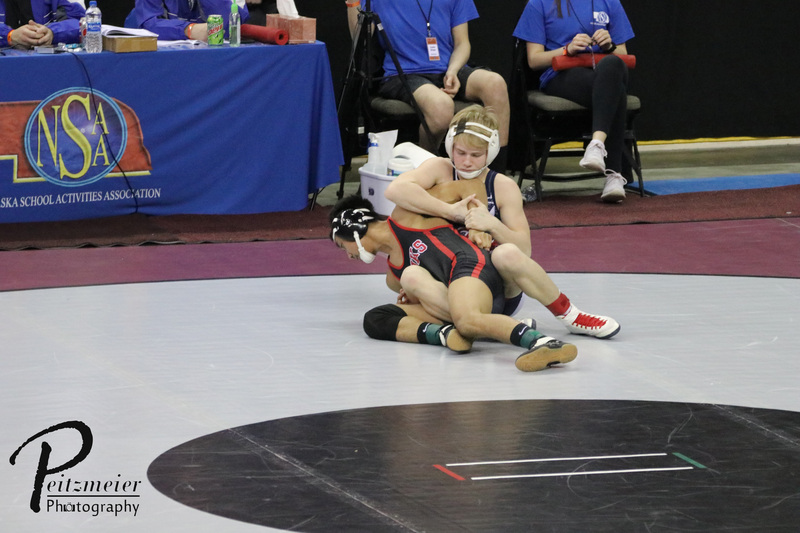 The nail in the coffin came at 285 pounds, where Gretna tried to sneak out another victory by moving their 220 pounder up to 285. 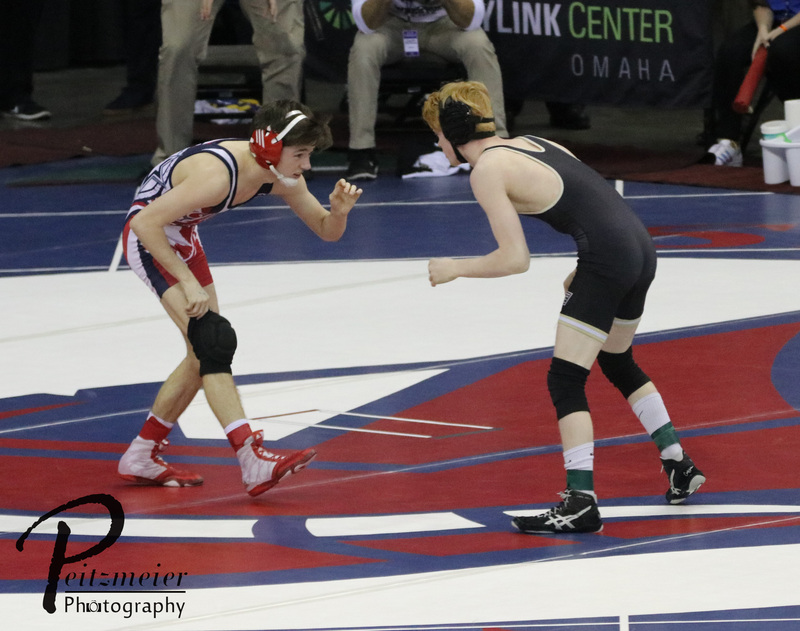 The Patriots were ready for the switch, and bumped Peitzmeier up to 285 to wrestle Fee of Gretna. 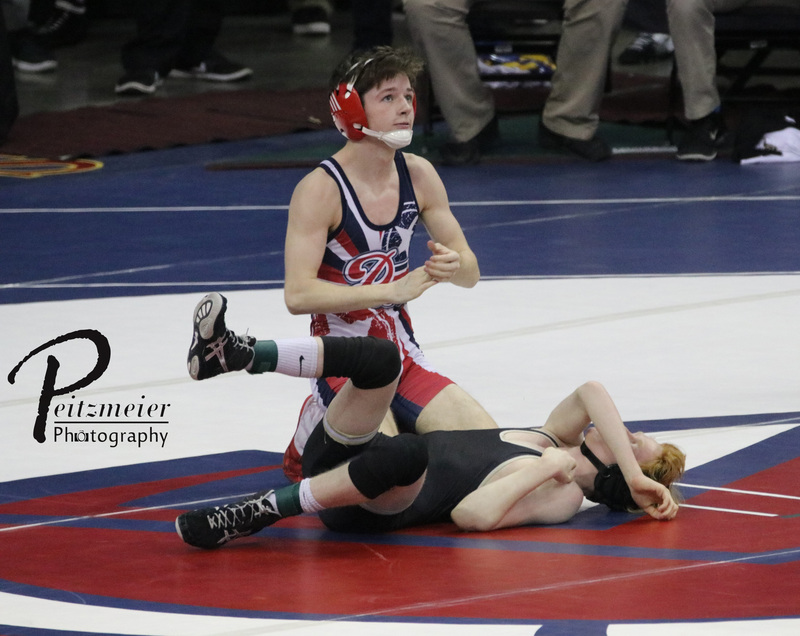 After a scoreless first period, Gavin locked up a tight cross-face cradle and earned the PIN! 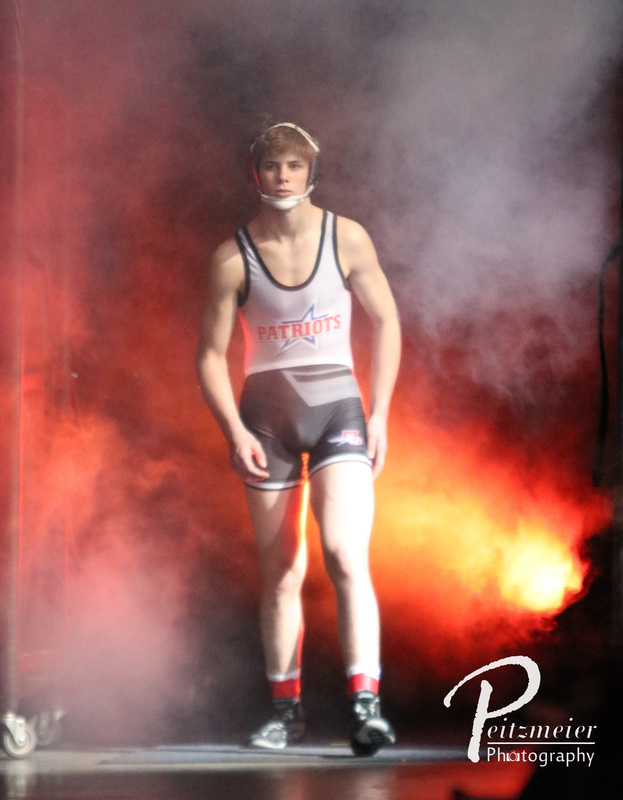 Caleb Coyle finished off the dual with a 2nd period tech-fall, and the Patriots won 38-29 to earn their 120th straight dual win! 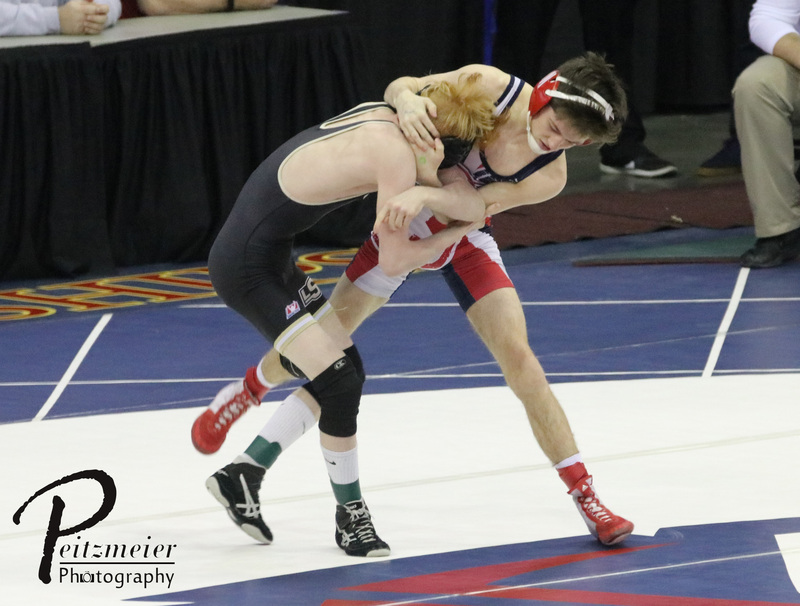 In the semifinal of the tournament, the Patriots faced off against familiar foe, Kearney. 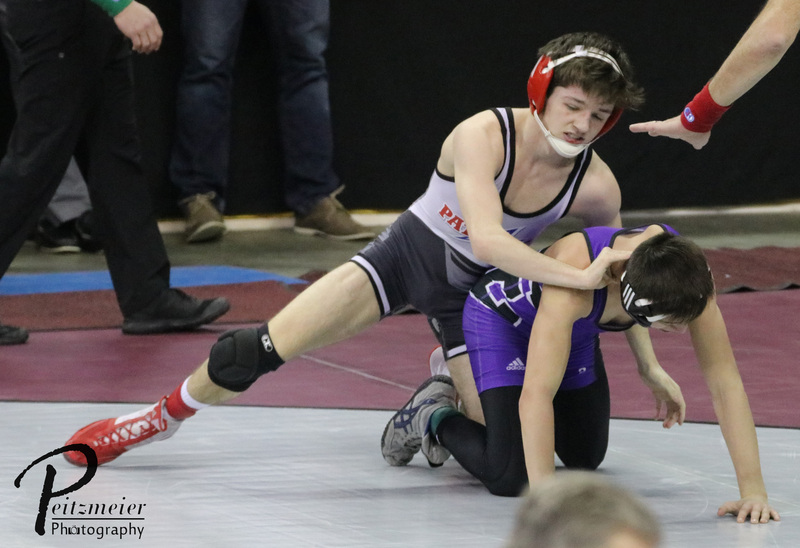 This time, the more experienced Bearcats were able to send the Patriots into the 3rd/4th place dual. The lack of depth from the Patriots were finally catching up with them. 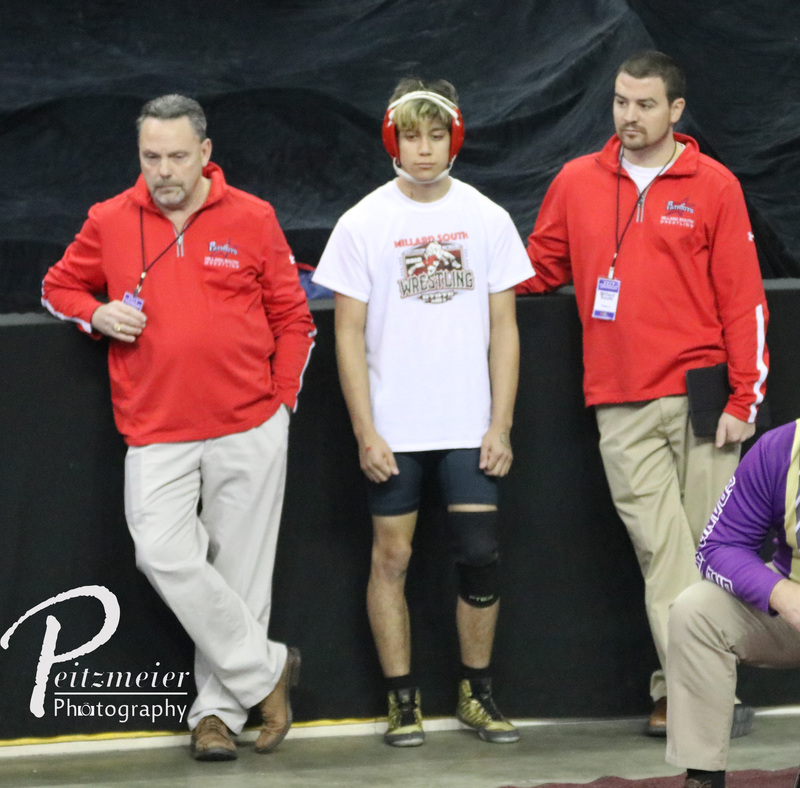 Along with not having Blake Jackson, Blake Smith suffered an injury in the first match, and could not compete for the rest of the tournament. “Not having those two in the line up was a crushing blow to our team. 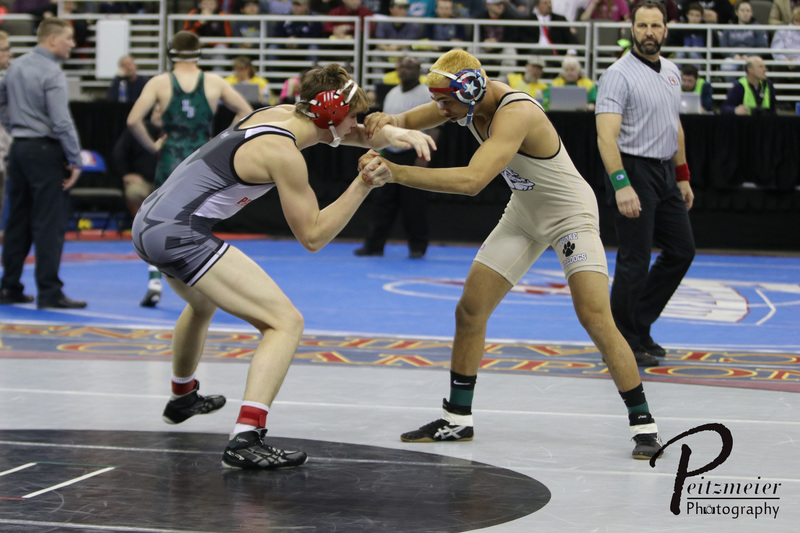 They are always good for a win and bonus points!,” said head coach, Nate Olson. Coach Meneely echoed that statement. 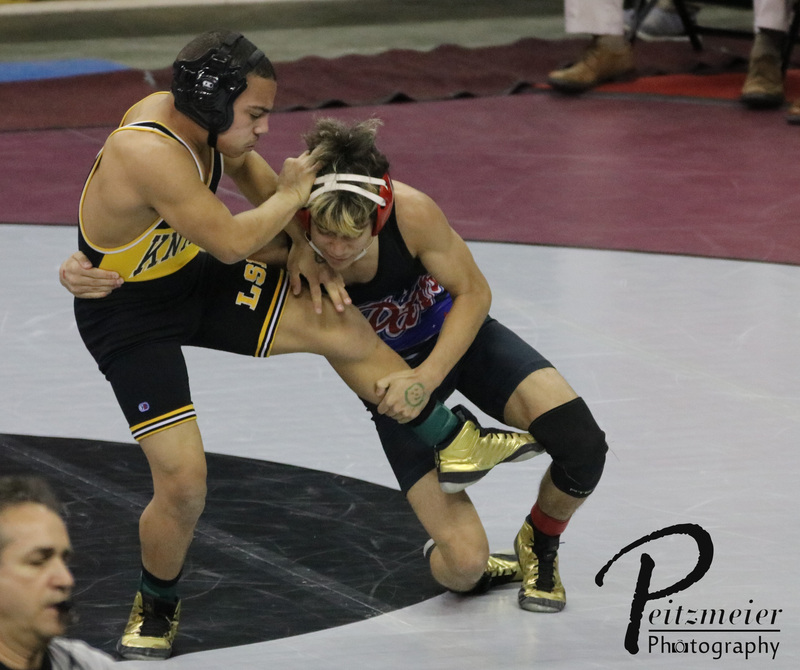 “We thought we would be able to move some guys around to get a better match up in hopes to squeak out another win in the mid-weights, but losing those guys made it very difficult.” Earning victories for the Patriots in the dual were Knopick at 120 (major decision), Isaac Trumble at 170 (pin), Josh Trumble at 182 (decision), Gavin Peitzmeier at 220 (pin), and Caleb Coyle at 106 (major decision). That dual loss was the first one of the season, and broke the string of 120 straight duals wins. That number puts the Patriots in the top 15 in the country for consecutive dual wins! 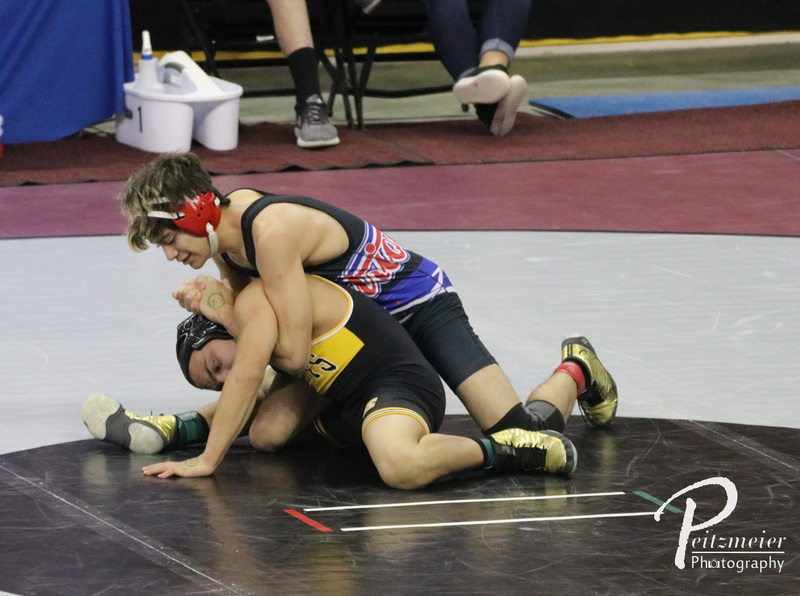 The final dual of the season for the Patriots came against the Burke Bulldogs. 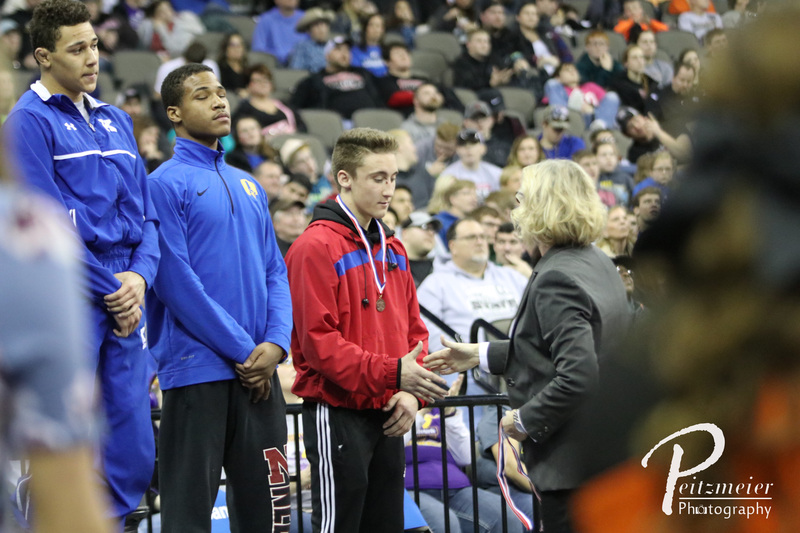 Again without two starters, the Patriots didn’t have enough firepower to match up with the Bulldogs and their trio of State Champions. 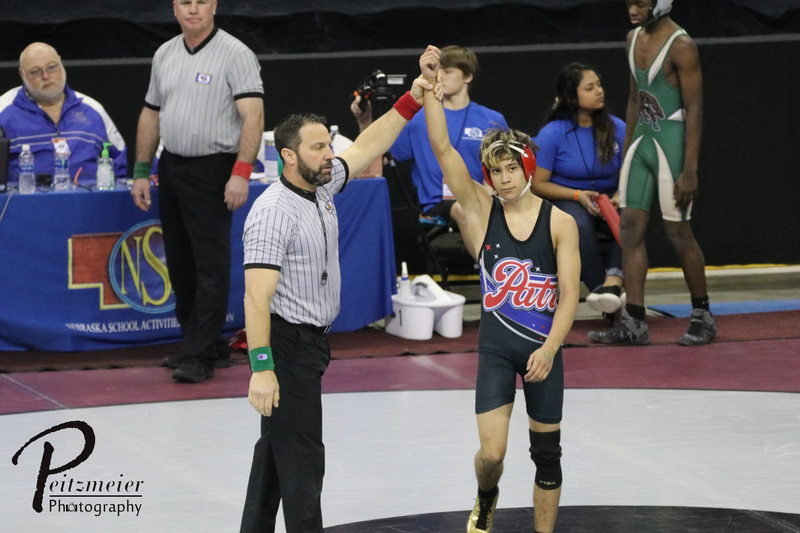 After a back and forth battle for most of the dual, the Patriots were 1 win away from earning a 3rd place trophy at the State Duals. The Bulldogs won by a score of 40-33. 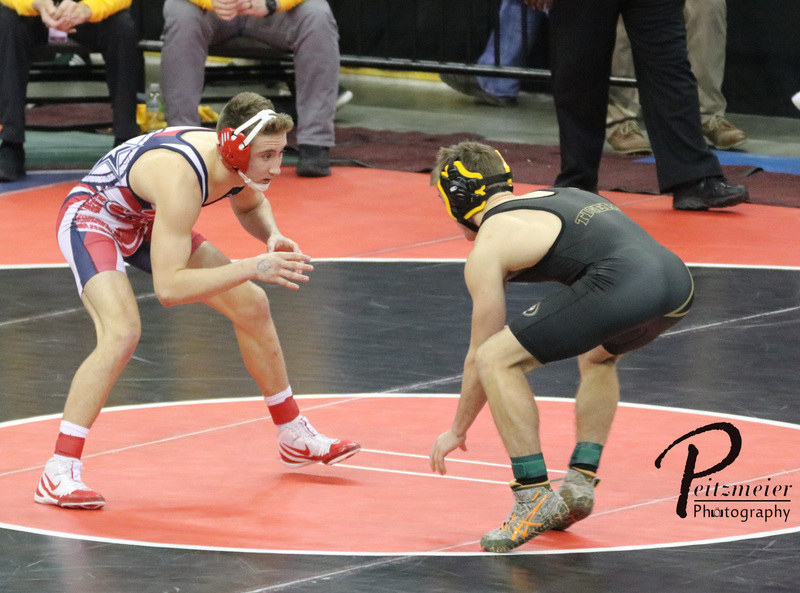 The Patriots will return 13 Varsity starters next season and will bring back a plethora of State Tournament points that will place them near the top of Class A to begin the season. This was not a rebuilding year. This was a reloading year!